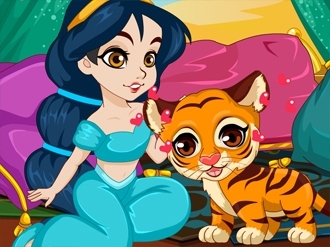 The Hidden Ring is an arcade game on www.bestgames.pk. In the top left corner of the screen there will appear 16 symbols, either a red wizard or a ring. Your objective is to match the pattern shown there on the main board by clicking the blue wizards that are rings on the template. Click the template and for half your score you will be able to take another look at it. Watch out! Sometimes, the evil red wizard can try to cover the template to make it harder for you. If you click the blue wizards that are red wizards for three times but not rings, you will lose the game. As levels up, you will have fewer and fewer time to take a clear look at the position of the rings. Maybe you want to have a try. Good luck! 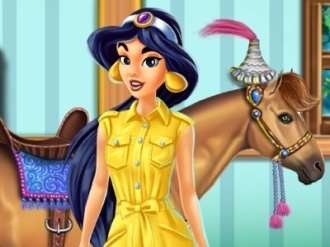 Meet your favorite princesses in a new and awesome coloring game! 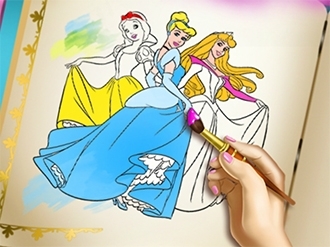 Go through the pages of the coloring book, pick up your favorite drawing and make it look fantastic. After you've practiced your creativity, you can even go back and turn the whole book into a masterpiece! Enjoy!